Good Morning & welcome to another "Cricut-less/ Sketch challenge! YEP, you got it~ I decided to have another "cricut-less challenge" INCLUDING A Sketch! Let's get right to it! *** Deadline for this challenge will be on Wed, April 13th! I made 2 cards for this challenge! 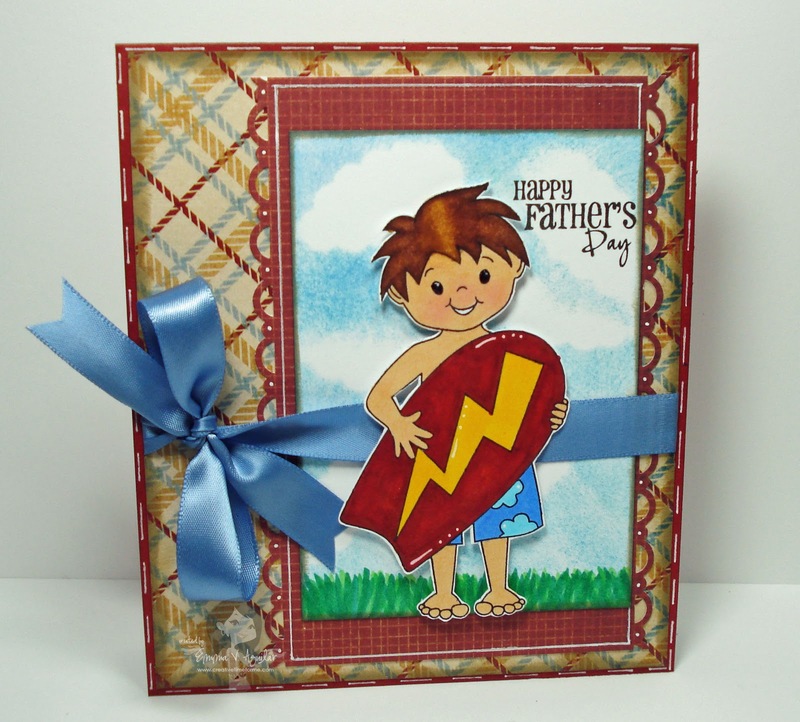 For my 1st card here the sentiment I used is from my set "You're My Best Buddy" That ADORABLE little boy is from Peachy Keen Stamps "Boogie Board Max" ! That cloud technique I learned from my Peachy Sister "Janice" & you can see her video HERE! Also, HERE is the video from another Peachy Sister of mine "Lorie", this is her showing us how to color hair! For my 2nd card, I used a few stamp sets! 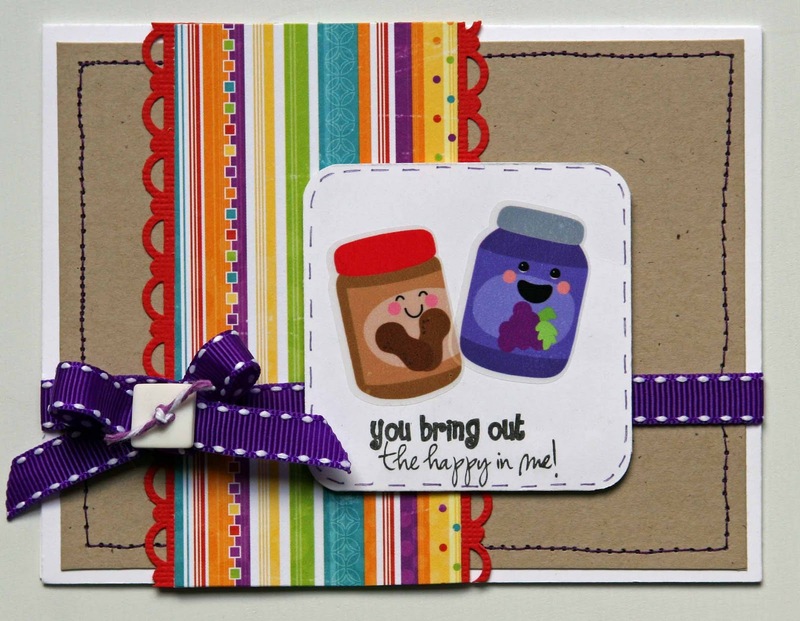 The sentiment is from my "I Believe in Leprechauns" stamp set! 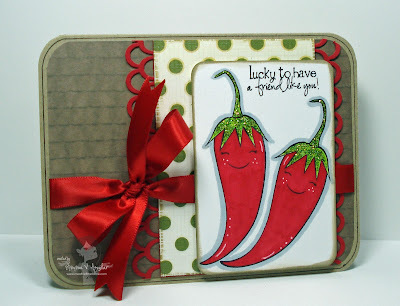 The Chili Peppers is from a set from Market Street Stamps called "BFF's"! Here is Nikki's card using "Just A Little Note"! Here is Abby's card using "Wow So Many Candles"
Here is Glora's card using "All Star Baby"! 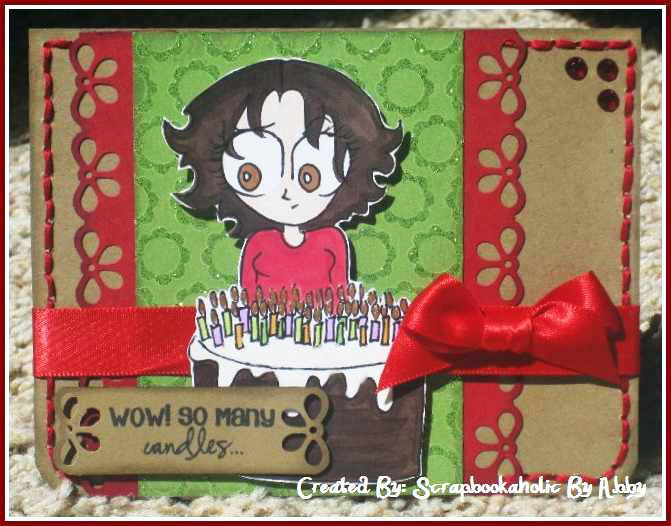 Here is Vicky's card using "My One & Only"! Here is my first "Special" Guest Desiger "Liz"! She used "Turn That Frown Upside Down"! Here is my 2nd "Special" Guest Desiger "Martha"! She used "So Grateful For You"
Love the cards, great job everyone! 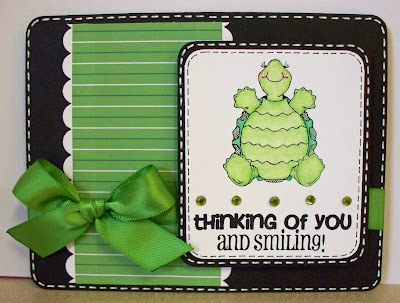 Can't wait to make my card! cute cards, love the rust color paper. I am going to have check out stationary stores. Love those chilitos!!!!!! That is one of my favorite stamp sets!!! Wow!!! Everyone did a great job w/ this wonderful sketch!! Emmaaaaa !!! Those cards are just sooo beautiful !! And, WOW WOW WOW, you are at a whole new level at coloring !!! Martha C.
Your design team did a great job... Thanks for the inspiration. Love all the inspirations, keep them coming. You all are super talented I love it. I love your little sufer guy Emma! It is such a cute card! Thanks for the fun challenge! I missed the last challenge! So I plan to enter this one for sure!! Everyone did such a fabulous job with their cards! Love them! Emma, your surfer boy is too cute! Great job with the coloring! Great job, DT! Thanks for another fun challenge, Emma! Love all the awesome projects! Your DT is amazing! Wow no Cricuts...I did it. Thanks for the great Challenge Emma! Thanks Emma! I loved the sketch, it really inspired me. This card was made so quickly-I am usually such a slow creater!! What a fun challenge, thank you for the great sketch!! I love everyone's cards :) Thanks for the fun challenge! All these cards are terrific. Thanks for the chance to play along. I just received my very first order from MCT. I ordered 3 sets, and received the bonus (thank you Emma), and I'm thrilled with my purchases....high-quality, wonderful stamp sets (not to mention how great they coordinate with my PK sets)...will definitely be purchasing more! YEAH I got to play!!!! Thanks as always Emma. DT, great cards. And, I have to say this is my FIRST challenge I've ever entered. Everyone elses cards are great too! Thanks never did a sketch Challenge before it was fun. Awesome projects by the DT!!! I had a lot of fun playing in the challenge... even though it was a bit out of my comfort zone. NO CRICUT challenge was tough...I gotter up and running again, ha ha!! Thanks Emma for a fun challenge! Loved these projects. They are so adorable! Just linked up! TFS! Beautiful inspiration. Thanks for the challenge! Great challenge! Everyone's cards are soooo cute! This was fun challenge! I need to follow a sketch more often, makes the process a smoother! :)Thanks for letting me play along!! Ok Miss Emma - I finally participated in one of your challenges again - got so excited, sat down and made these gift card holders for my kids youth group fundraiser and didn't realize that you had a "sketch" to follow! Anyways, hope you like my project - I think that I made 32 of these in 1 day - lol! This was kinda "challenging" for me. I always use my Cricut & Gypsy. I don't know any thing other then these tools. Thanks for the challenge I hope you like it. Good luck everyone. I did it! A card without my Cricut. I hope you like it. Such cute projects! I love this challenge! Thanks! Wow, Emma!! You and the dt rocked it!! Love them all!! Love the cards thank you for the giveaways!!! Got my 4 stamp sets in the mail today, I love them all Emma! this is my first time to your blog and I am happy to submit my card for your challenge. you have a great team of designers. cant wait to play again. GREAT sketch!!! And AWESOME inspiration from you and the design team!!! LOVE them all!!! Had fun with this one - thanks for the chance to play along! Awesome sketch! I had fun playing long! I love doing non Cricut cards because I get to use my stamps and other crafting things. Still love my Cricut though. I love entering your challenges. Thanks for sponsoring them!!!! Thanks for another great challenge. I linked my card. This was my first sketch challenge. This is my first challenge entry, and I don't think I followed it exactly. I hope you like it anyway. Thanks for the opportunity, and I absolutely love all of your stamps. Love the sketch and decided to play along. I love all the DT cards! What a FUN Challenge! Thanks for the inspiration! I love the sketch. Hope to see more challenges like this one.